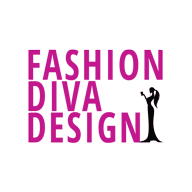 Hey my ladies, your Fashion Diva is always here to inspire you and to embellish your day! 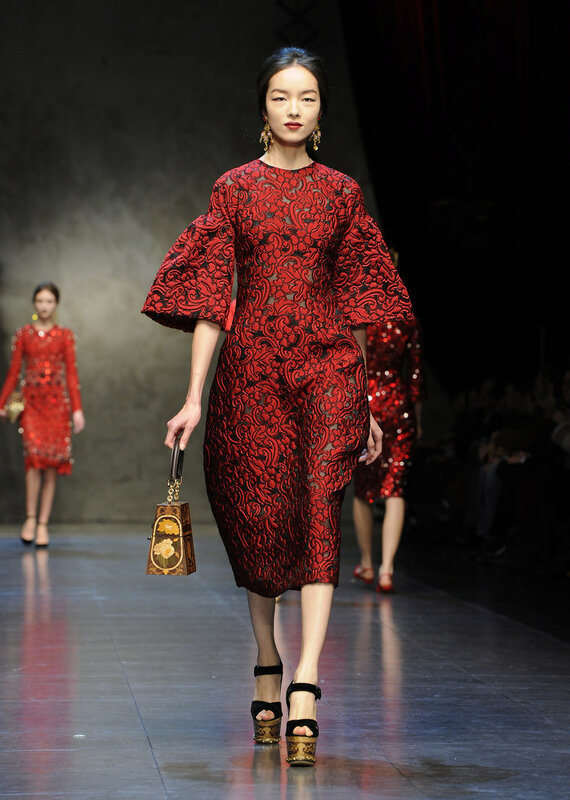 For today I have an outstanding Spring 2013 collection by Dolce and Gabana that was recently presented on the Milan Fashion Week. These two designers are my favorite and I love their classy, a little bit edgy, but still lovely and glamorous designs. They always appear with something unique on the runways and this collection is not an exception. 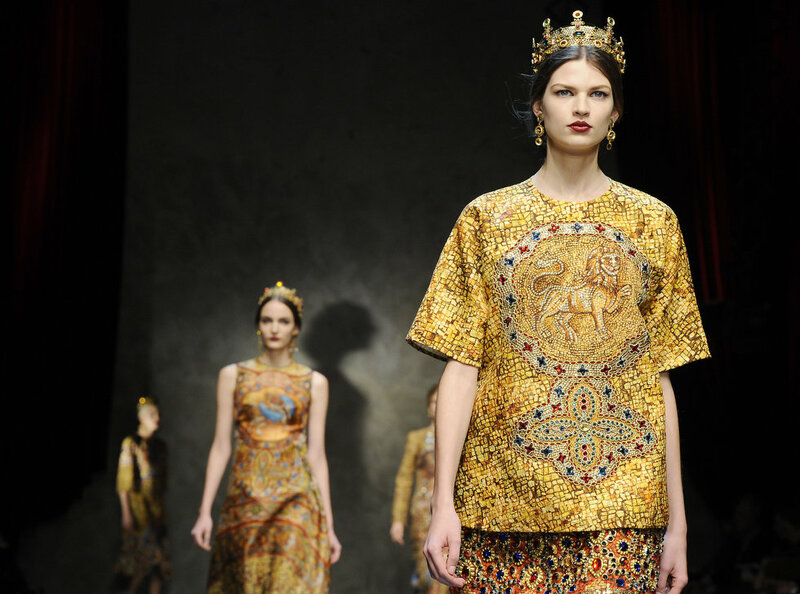 Domenico Dolce and Stefano Gabbana love Sicily and always find inspiration on this island. 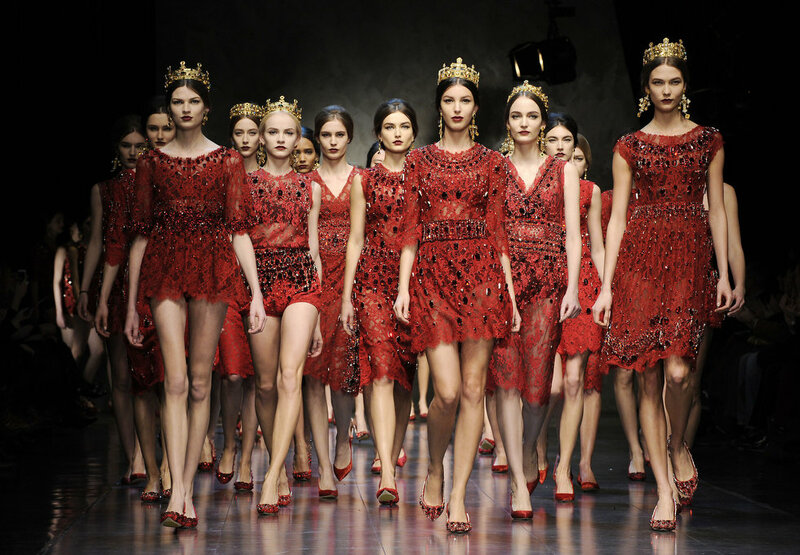 Actually, the Dolce & Gabbana woman, as idealised on the catwalk and over two decades of memorable advertising, was always more of a sensual, maternal figure, albeit one with an incredible body, than a preying mantis. 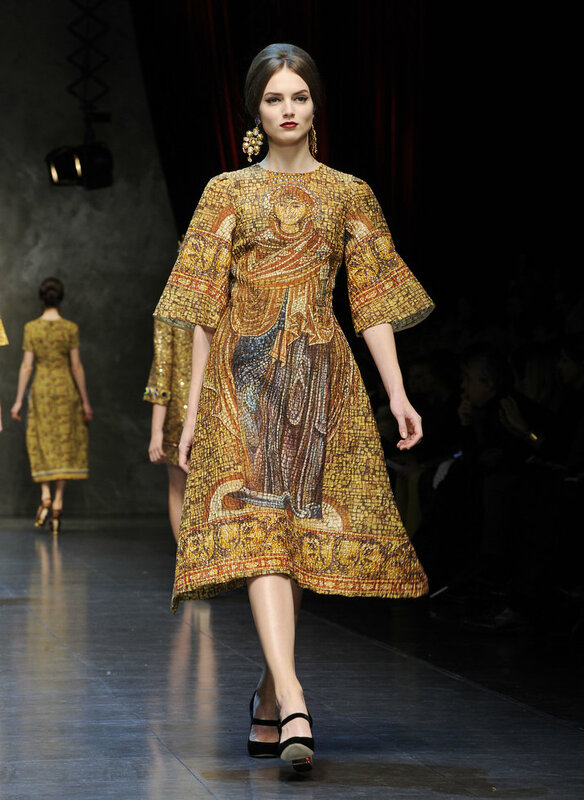 Both Gabbana and his designer partner, Domenico Dolce, are romantics who love Catholic symbolism, all things Sicilian, seen through a Fifties filter and Italian opera (they bought the theatre where Maria Callas used to perform in Milan and now stage their show there). Set alongside the Berlusconi bimbo-esque aesthetics of some of Italy’s other big labels, the Dolce woman seemed almost chaste. 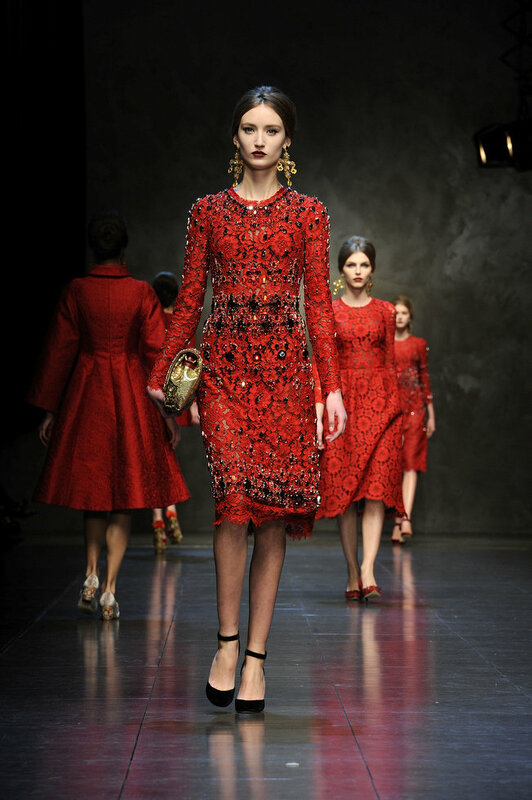 Church style defines the range of colors (gold, red and blue) and fashion accessories that complement works. 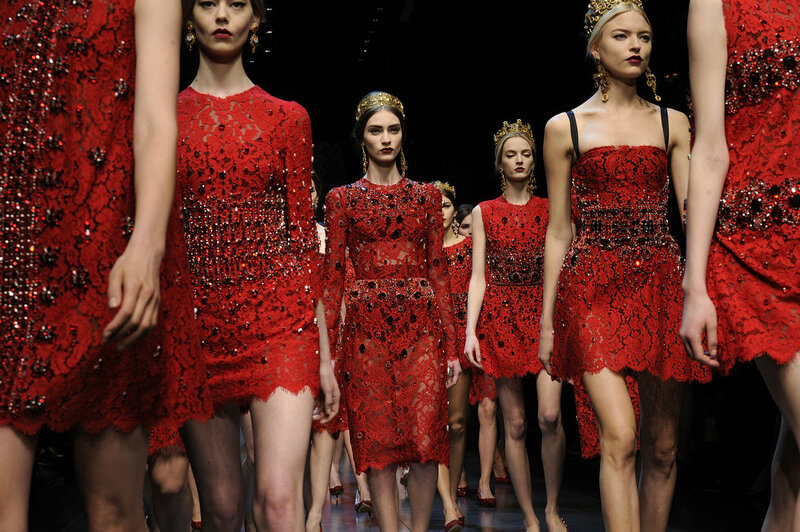 Check out these lovely collection that was seen on Milan Fashion Week and inspire yourself! It is time for high fashion, don’t you think!? Enjoy in the collection and pick something for you. Thank you for reading! I hope that you have found this post interesting and useful! Dolce and Gabana’s designs are magnificent and perfect for every special occasion. Pick the design that you like the most and wear it with style. Enjoy in the rest of your day and don’t forget to stay up to date with the contents of Fashion Diva Design!